Shell Shocked explores the post-war period in Australia and the way in which it shaped our nation, interpreted through personal stories and official correspondence. The design is planned around a central audio-visual feature that references sculptural memorials. The formal graphic treatment alludes to opening an archive’s research file. 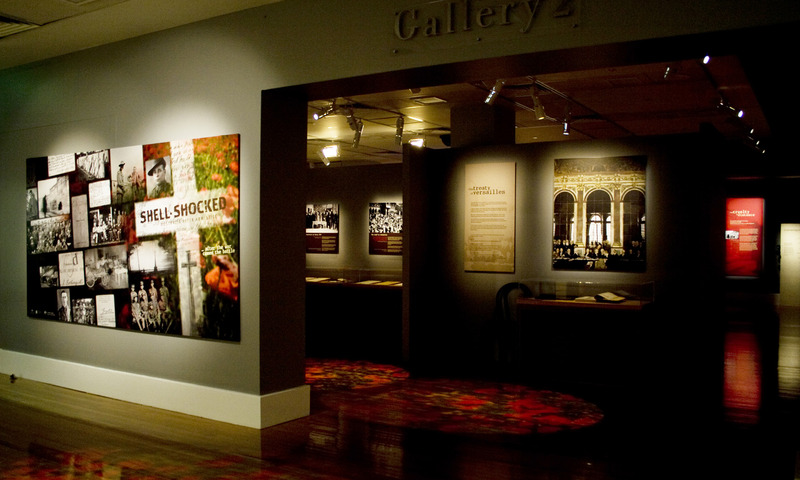 Object displays are combined with theatrical lighting, large murals, audio, and interactive components, to create a contemplative and moving experience.